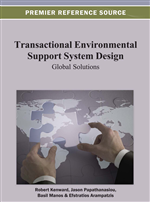 This chapter investigates modeling and data sources for environmental decision support for local authorities and private managers. A metadatabase of 198 computerized environmental decision tools was collected using a questionnaire with two sequential web-pages of 4+16 questions (http://tess.ttu.ee/). Half of the software applications are freely downloadable and well described online. The database contains 42 references reported as forestry tools, 50 as agriculture or apiculture tools, and 15 targeting to either amenity areas or tourism and access-based recreation. The most domain-general toolbox, InVEST, integrates models which support management of natural capital, including pollination of crops and production of timber, but is limited in types of natural capital and management situations. Agricultural toolboxes DSSAT and MicroLEIS cover soil quality issues well but ignore management of agricultural landscapes where natural and semi-natural habitats provide wild crop pollination, biocontrol of pests, and other services. The most prominent sustainable forestry toolboxes are UBC-FM and NED-2. The latter contains simulation models and qualitative knowledge bases, but complex forest management conditions require more flexible metamodeling approaches. For the management of recreational sites, no integrated toolkit exists. As most of the existing environmental tools support option assessment, future development should address also earlier decision-making steps. Among several concepts of environmental management, the concept of natural capital (e.g. Hawken et al., 1999) sees the world’s economy as being within the larger economy of natural resources and ecosystem services that sustain us. Only through recognizing this essential relationship with the earth's basic resources can businesses, and the people they support, be sustained in the long term. In practical implementation of natural capitalism, one possible constraint is the question of ownership and hence responsibilities for management. Most natural capital in the biosphere and its services remains a common good, so that market forces fail to regulate its sustainable management effectively. In a simplified scheme, private and common issues project as local and widespread issues, respectively. Market failure can be explained as the failure of local investments to generate local benefits. For instance, a company which invests in producing atmospheric oxygen will never benefit from ordinary market forces. At the same time, market forces usually fail to hinder a company in the introduction of alien species. However, widespread drivers create also local consequences (See Figure 1). Nevertheless, many field-scale investments to natural capital still give significant field-scale benefits. For instance, fertilization of soil is a typical investment to natural capital which gives returns to the field manager. To facilitate environmental management, we created a database of decision support tools which was targeted on activities where local ecosystem management decisions bring direct benefits to the manager via improved ecosystem services. Some ecosystem services, such as genetic resources and primary production, are essentially global. However, services such as provision of materials and pollination have great local significance (Figure 2). To promote health of ecosystems, the database was targeted on the management of ecosystem services which generate local benefits. A representation of ecosystem services in the DPSIR framework. Bold font indicates services which generate mostly local effects and therefore where local management applies. Beyond the “tragedy of the commons’, several other obstacles hinder sustainable management of ecosystem services. Short-term (tactical) interests often compromise long-term (strategic) interests. Ecosystem health is usually a long-term issue, requiring strategic planning. Due to natural buffers, the consequences for ecosystem health of different management scenarios tend to lag. Managers therefore need tools to assess ecosystem health issues strategically. We identified three economic areas where sustainable local ecosystem management might bring immediate benefits: farm-scale agriculture, estate-scale timber production, and on-site management of recreational objects (See Table 1). The aim of the database was to identify information tools for these management challenges across the entire EU. Agriculture Farm Farmers Sustainable crop and fodder production issues: soil maintenance, fertility, health. Field factors limiting pests. Erosion. Drainage. Irrigation. Pollinators. Chemicals. Cultivation structure. Buffer strips. GMOs. Pollination. Biocontrol. Weather and climate. Nature recreation: hunting, fishing, birdwatching, hiking, walking, picking, riding Recreational site On-site tourism operators, local land-owners Maintenance and improvement of the leisure area: production of forest game, production of fish in a small lake, number of birds valuable for watching, attractiveness of the area, availability of forest fruits Habitat requirements, Effects of pollutants, Hunting and fishing rate, tramping, garbage, number of people, behaviour of people. Climate change from travel.